Thank you to all families who have donated to our No Fuss Fundraiser! We were so close to meeting our goal - 94%! We will continue to accept donations at any time. 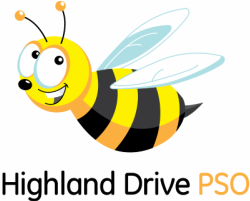 You can send cash or check (payable to Highland Drive PSO) with your child to school. If mailing, please use the Highland Drive Elementary School address, which is 9457 Highland Rd, Brecksville, OH 44141. c/o No Fuss Fundraiser. The PSO thanks you for your support! Go Bees! Help fund educational events and materials that support classroom learning. This is our PRIMARY fundraiser - it is an easy, hassle free opportunity for parents, grandparents, businesses, friends and family to help support programming and new technology for our students. 100% of the money raised will directly benefit YOUR child and their classmates.